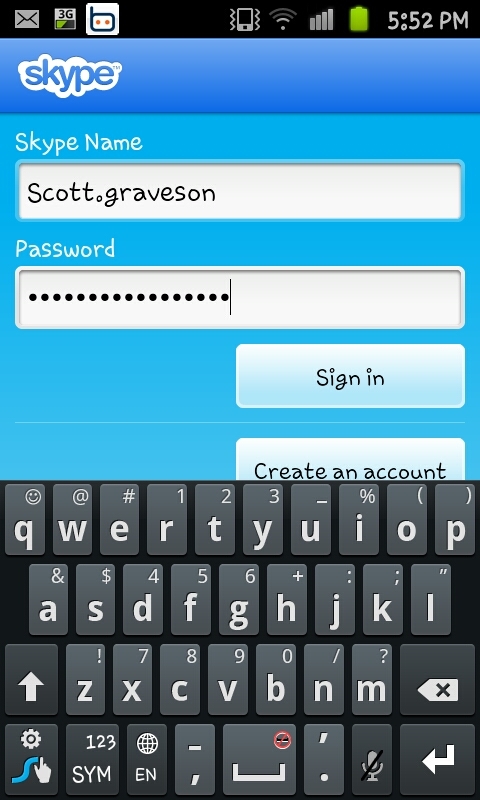 First you need to login into the app, you may need to create a Skype account if you've not already got one this is easily done via a computer (though I'm not sure on setting one up via the phone it's self). 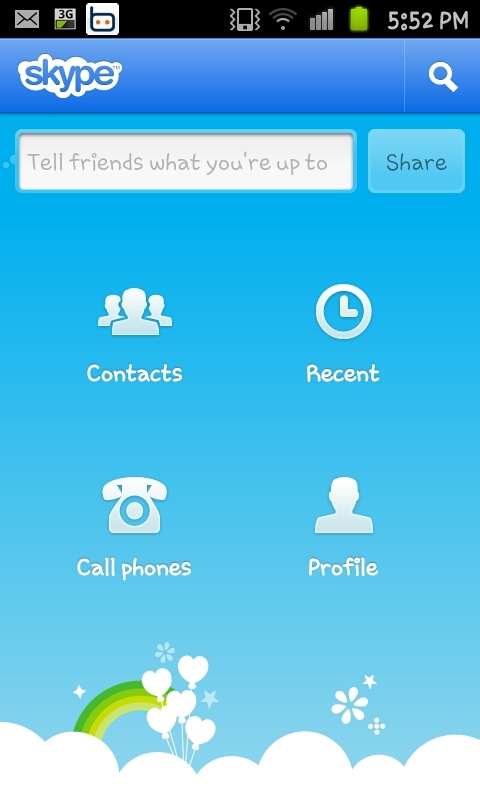 calls is the "Contacts" option which will open your contact list. 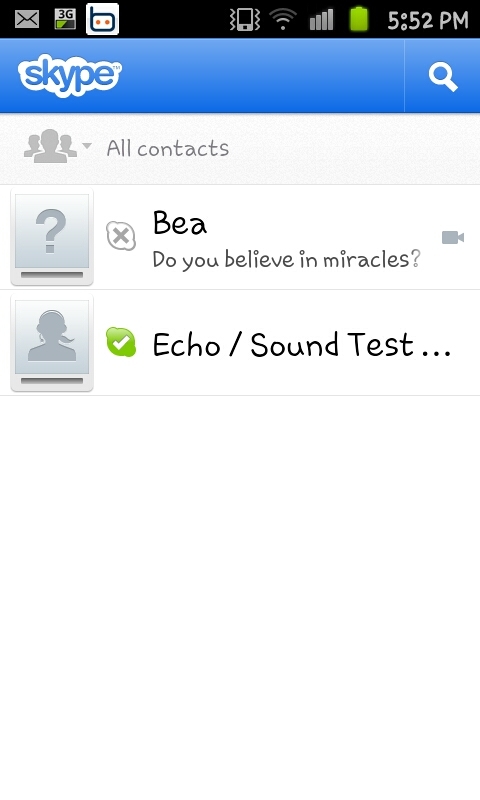 Sadly as you can see in the screenshot to the left I've not got many contacts on my Skype account (having only created it for the purposes of this guide) though you need to select the contact that you are wishing to call. you can make a "Skype call" a "Skype video call" or "Send IM" (a plain text type message such as you would use on MSN or Facebook chat). 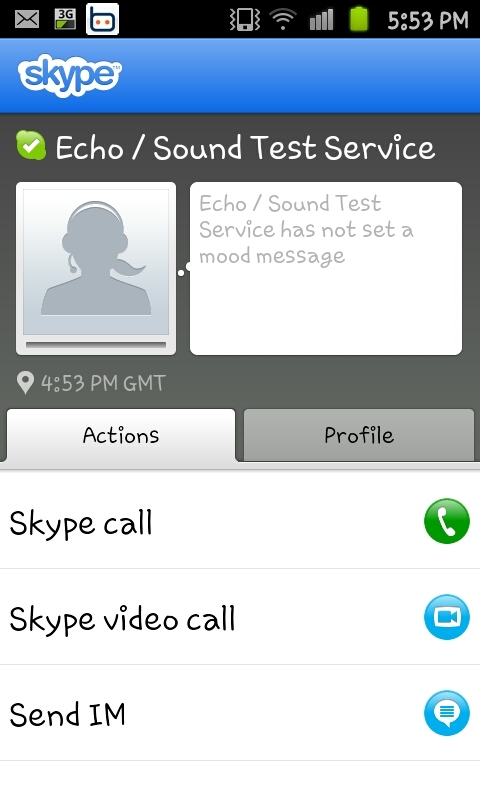 The option you need to select here is the "Skype video call" option (rather predictably) and, as long as the other contact accepts the call you'll manage to make the call. Remember however that the other contact will need to be logged into an account and on a device capable of receiving and sending video calls (A PC or a phone with similar capabilities). When using a Samsung Galaxy S2 you'll be using the phones front facing 2MP camera and also able to see your contact on the screen. Remember when using this that you will need an internet connection, preferably a high speed 3G (or even 4G) connection or a good and stable Wi-Fi connection. 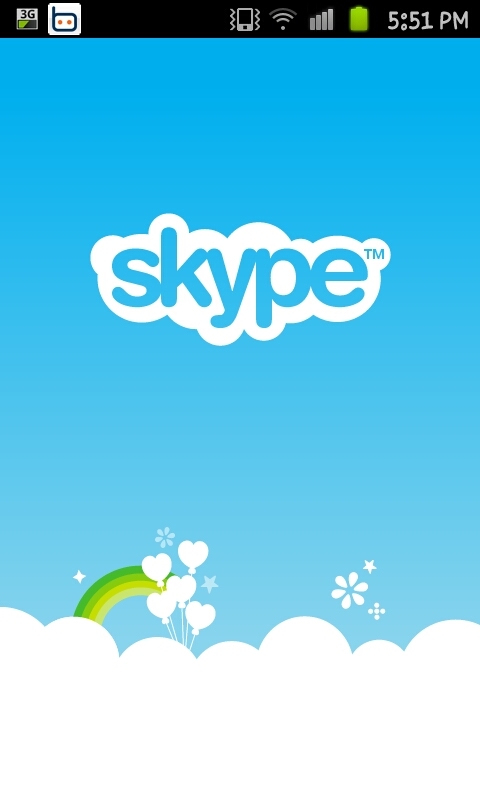 If you are using a mobile internet connection make sure you keep an eye on your usage as you may end up incurring a data charge, however the function of making video calls through Skype it's self is free. You will usually notice that using Wi-Fi will allow a smoother call than using mobile internet though even using 3G should allow a smooth and solid call. Easy way to find various tips and tricks of mobile phones.